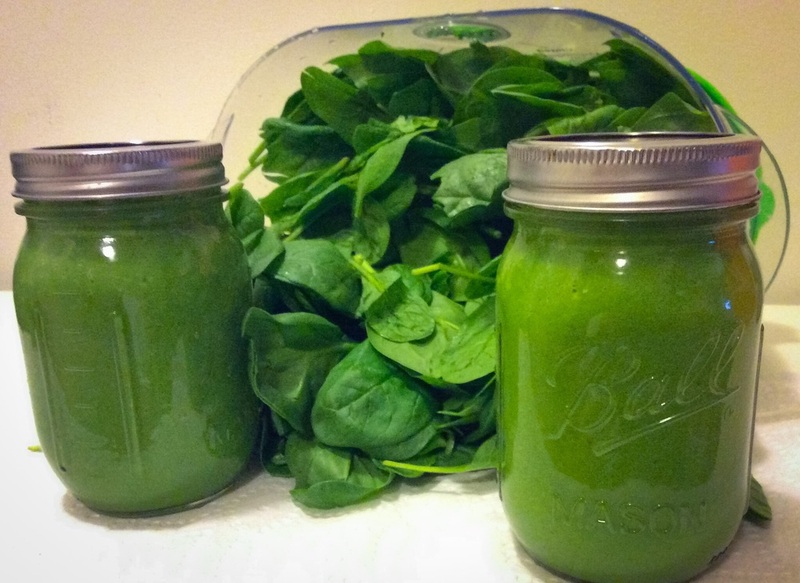 After weeks of experimenting, I finally found a green juice that pleases my pallet. Green smoothies taste amazing, but I had to learn how to balance ingredients and sweetness to create my own. What I learned is that you need to start it off with a good liquid base. So far I have found coconut milk, coconut water, and apple juice make good bases. The trick with the fruit juices is that you want to find ones without added sugar, which can be tough. Pack it all into a blender and make a fruit tornado! It yields about 2.5 16 oz jars.